Happy New Year Ya'll! 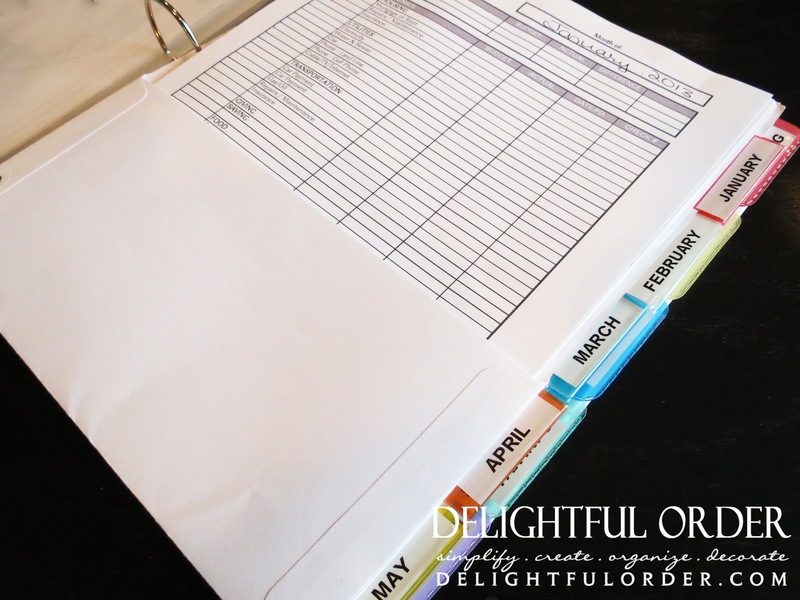 Are you ready and as excited as I am to get organized in 2013? 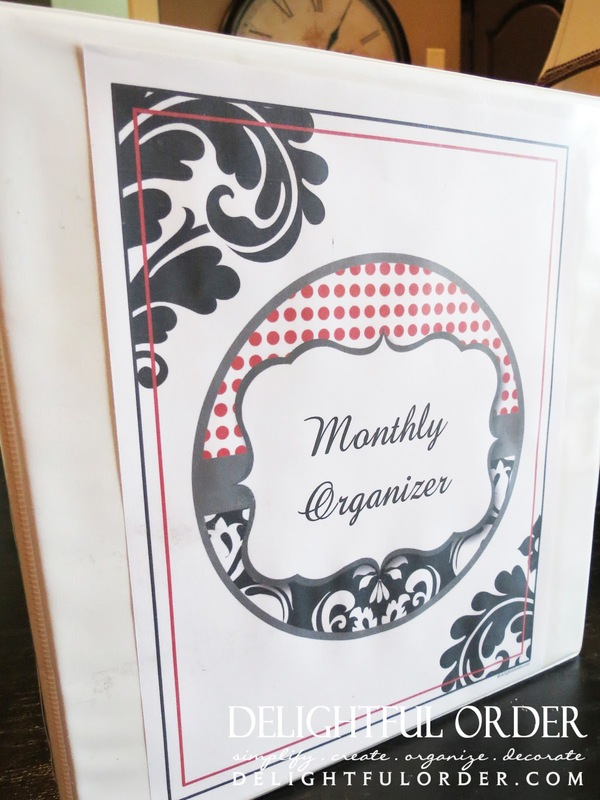 Today is day one of the monthly organization challenge. 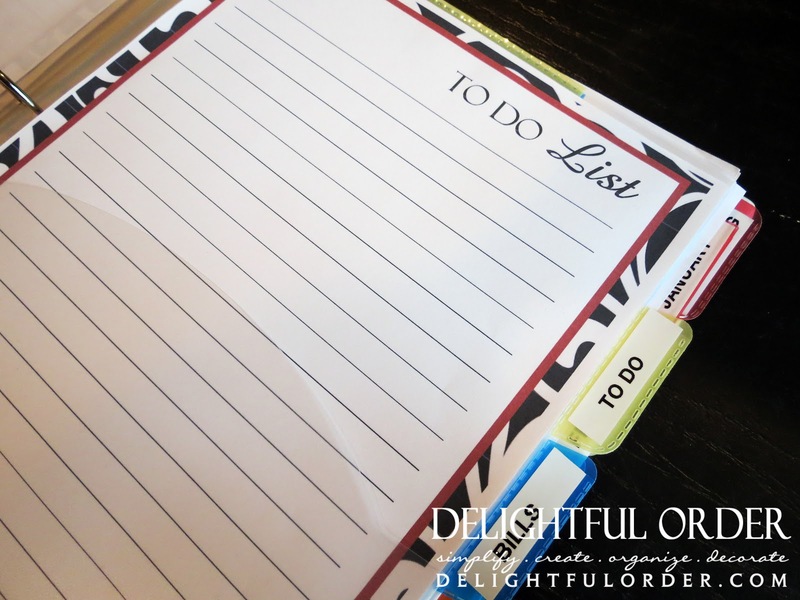 Each month I'll introduce the space/area that I'm bringing to Delightful Order. The challenge for the month of JANUARY is all about taming the PAPER clutter in our homes. Yes, papers ~ boring ole' papers. I know some of you may not like the idea of starting here, but we all have papers that can easily overwhelm us if we don't take control. So I believe this is a very good start. Today is all about organizing MAIL & BILLS. The KEY is to find a system that works for you and your family. Sometimes it takes a little trial and error to find out what that is. I'm continually learning myself and yes, I've tried different ways, finding out what works for me and what doesn't and changing the way I keep it together at times. The system I use remains the same as it has for quite a few years. I have, however, changed the way I store my mail & bills, etc. #1 - I go through the mail daily. BUT my old ways just seem to come right back to me, so really, truthfully and honestly, that cute lil' mail organizer is not getting used. :( I do plan on turning it into something useful someday. Maybe I'll bring it into my office/craft room. I do throw away any junk mail right away. Usually, I don't even bring it into my house. I typically drop it in the garbage in the garage. If you remember a while back I talked about the three filing systems for my bill paying & mail organizing: Immediate, Intermediate and Archival filing. That has all stayed the same. It's what works for me. I know it and I like it. 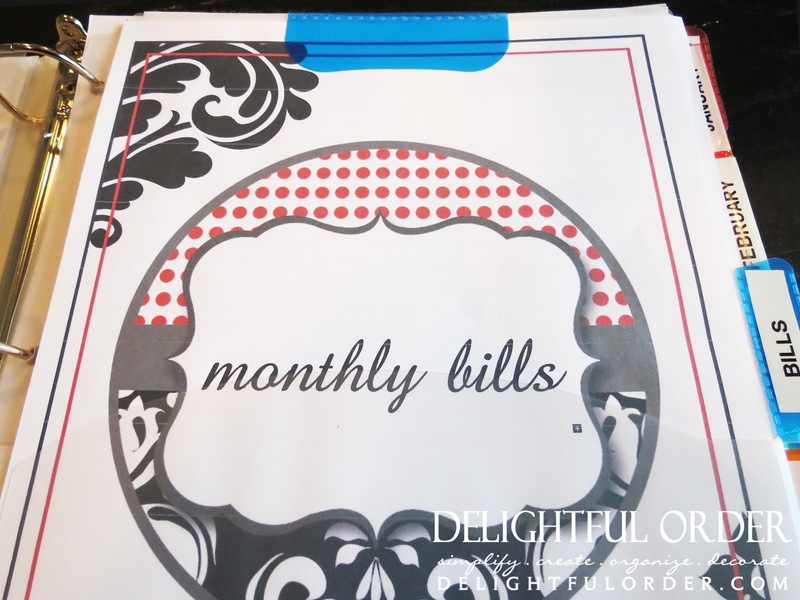 Then there's the monthly bills sections, which has a separate divider for every month of the year. 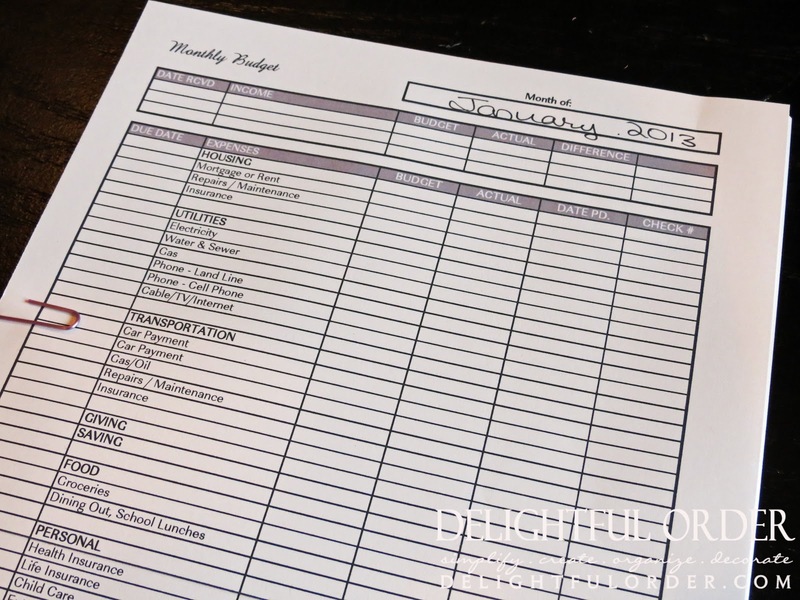 I've set up a monthly budget report to keep track of the bills that are due each month. It's available in my Etsy Shop here. This spreadsheet works great for me. 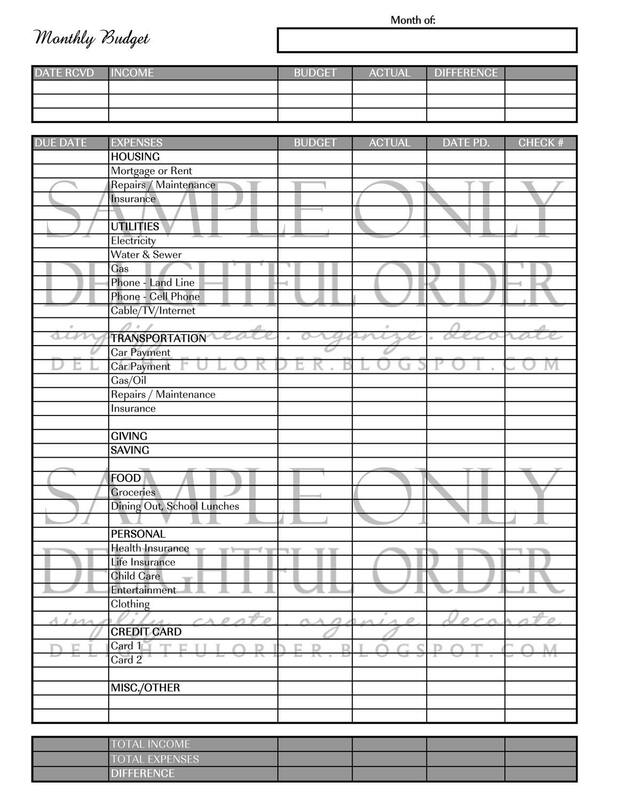 I've printed one for each month and filed them accordingly in the organizer. # 3 - When I receive a bill in the mail (yes, I still get bills via snail mail and no I haven't gone paperless yet.) 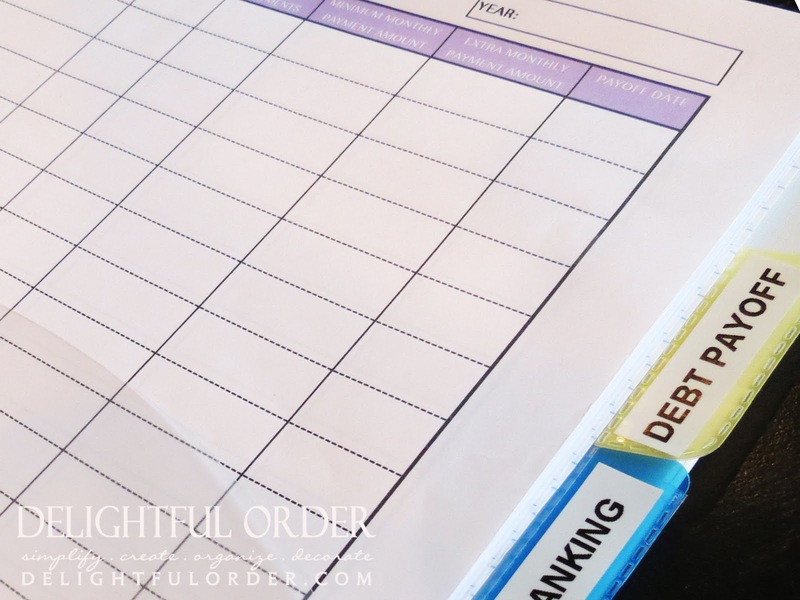 I simply write in the amount due, due date and attach the bill to the monthly budget page with a paperclip. # 4 - When I actually sit down to pay the bills (abt. 2x month) I use Quicken Home & Business to track it all in my computer. At the end of the year, it's so easy to see where I've been spending my money. I organize the paid bills in alphabetical order. 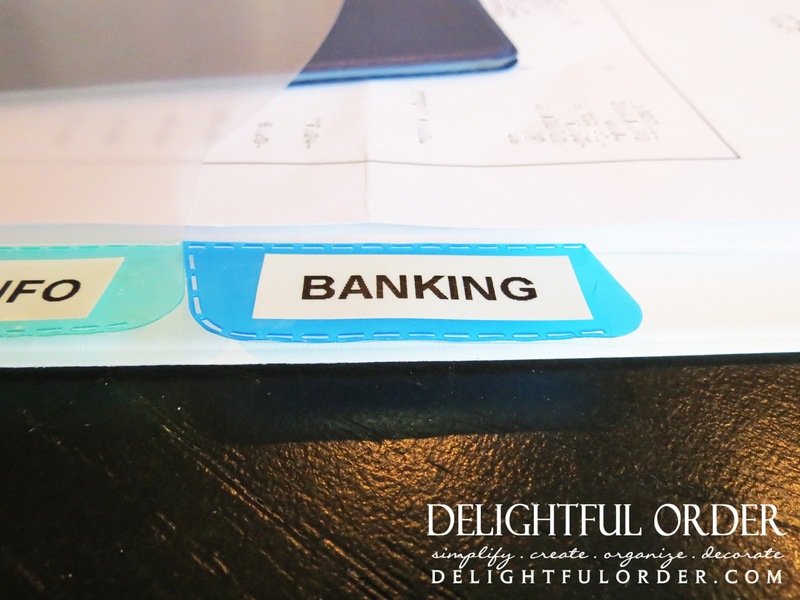 I have separate folders for car payment, insurance-health, insurance-home, insurance-life, miscellaneous, mortgage, phone, schooling, utilities etc. # 6 - Once a year (usually in January) I go through this file drawer, clearing it for the new year, shredding what does not need to be archived, and filing all the important files (ie. mortgage, bank statements, taxes, childrens important papers, etc) into my Archival Filing System, stored elsewhere in my home. Next is banking statements that need to be reconciled. and tax information is at the end. 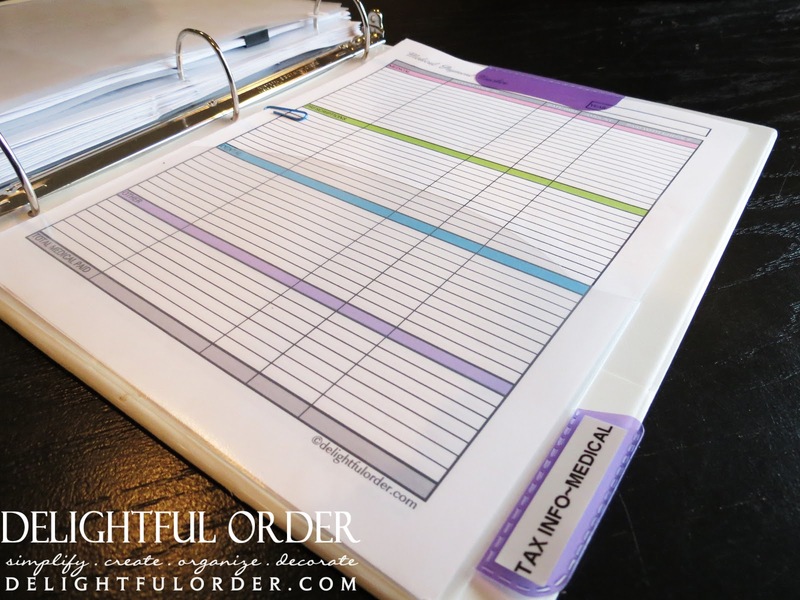 You may be interested in the All-In-One Family Planner printables or the All-In-One Colorful Stripe Planner printables. They may be a good start for you. How about you? 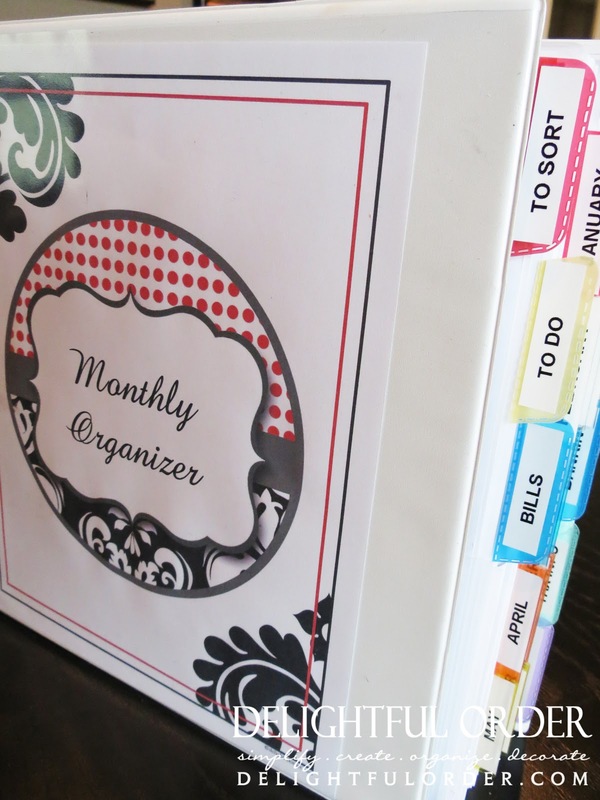 Is your life in need of some organizing in the paper department? Get started and come back here each week in January to see all the different paper areas that I'll be covering. Remember, there is no right or wrong way to organize your mail and bills. Just find a system that works for you. It may be something similar to the way I keep track of mine or it may be completely different and that's okay. The key is to getting your mail and bills organized and keeping it that way. Ready? Set, now go tackle your mail and bills pile and bring it to Delightful Order. Great idea. I do want to thank you for being so honest to say that something didn't work for you...sometimes I feel everyone else has it together so thanks for reminding me that trying something and changing it when it doesn't work is okay too. :) Happy New Year! 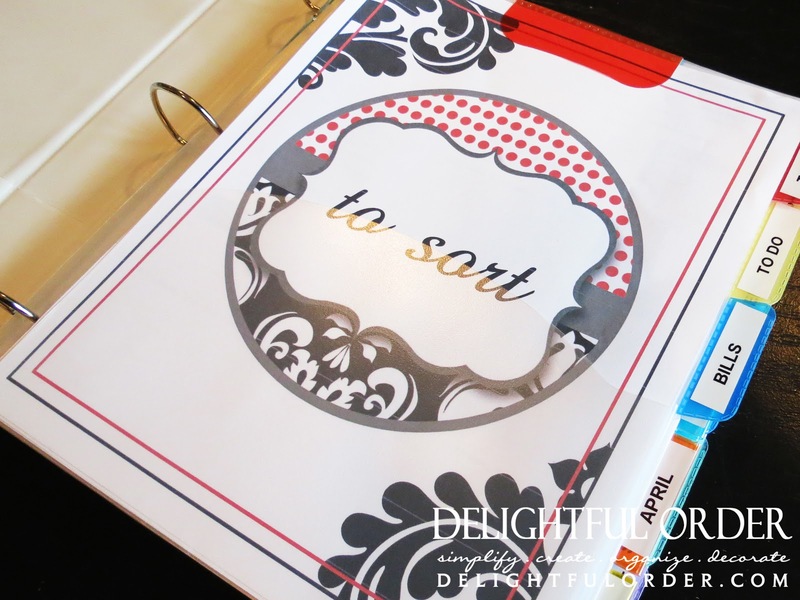 I love the idea of starting with the papers - our household is drowning in them! How long do you archive bill statements and at what point should they be shredded? Honestly, I'm not positive on the exacts of this one. I would suggest contacting a tax accountant to find this information out. I do believe I will do the same as well. If and when I find out, I will let you know. This is such a good idea! 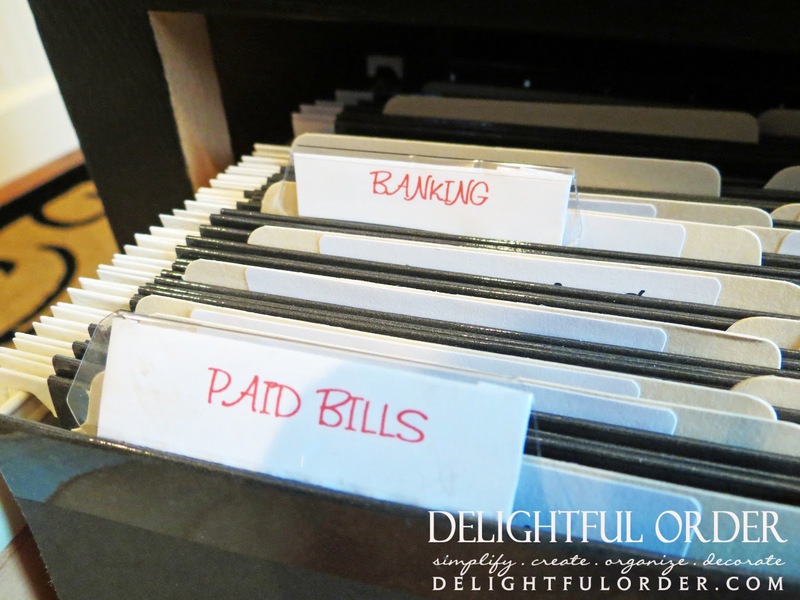 We have most of our bills paperless, so I just deal with them all electronically, but this is a great way to organize ones that come in the mail! Great idea. Need to get this started right away. My system is no longer working for me. Time for a fresh start. How did you know this is where I wanted to start? There's likes 4 places where paper everything builds up and so needs condensed down and sorted. Cant wait to control my paper! Thanx! Paper buildup in my apartment is HUGE! I swear thats probably what makes it so I don't know where to start in trying on my own cause all the papers take over the place all the time. If its not mail and bills, its papers I need for school or work, and everything. I think tacking the papers would be a great place to start in my home! Can't wait to continue thoughout this challenge. Time to go and take care of the first task! Well, my husband takes care of the bills. We have a "bill drawer" that we put bills we receive in the mail in until he is ready to work on them. We pay most of our bills electronically, but we get paid by check - for his side computer tech work and my accompaniment work at the Church. Those checks go in the bill drawer until he wants to deposit them. This isn't to say we don't have paper clutter - we definitely do! I can't wait to get some tips on handling that. I LOVE that January is paper clutter month! As a teacher, I'm notorious for creating stacks with a little Post-It note on top. Maybe I know what's going on, but my husband sure doesn't and it looks so messy! I made a binder today for my mail and my bills. Looks so much tidier than the big, ugly, overflowing basket we had before. Thanks! Honestly, I'm not positive on the exacts of this question. I would suggest contacting a tax accountant to find this information out. I do believe I will do the same as well. If and when I find out, I will let you know. check with your state on how long they require banks to maintain records -- most banks will archive your statements for you on their online banking system now too. Ok, this makes my head hurt. It looks great, but I know I'd never have the discipline to use it. I do go through the mail daily and throw away junk mail immediately. Catalogs are the bain of my existence, and end up all over my house for some reason. Also, what do you use to tame receipts? I started with a cute box, but it's overflowing, and I have this paranoia that if I throw a receipt away, I'll need it for a return, or taxes. What size binders do you like? I love the binder system that you use. I can't wait to get started. 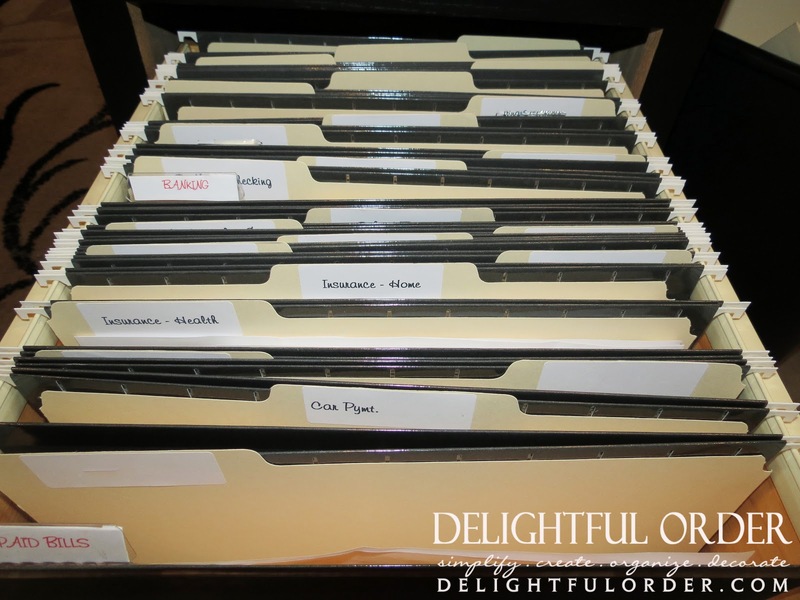 I already use binders for some organization but never thought of using them in as many ways as you do. Thanks!!! The binder sizes that I use are, 1", 1 1/2", 2", 2 1/2" and 3"